I love speaking to teachers, high school students, college students, libraries, book stores, Rotarian luncheons, radio interviews, TV interviews—any group interested in one or more of the genres of my work. I am available for visits across the country. 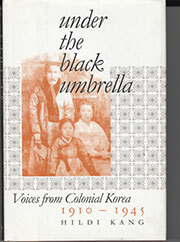 The rich and varied lives of the general public during Korea’s years as a colony of Japan are gathered into this book. These years are most often seen through two extremes: academic statistical analysis or the lives of the Korean martyrs. This presentation offers a view of the complexities of daily life as people endured, suffered, or found ways around the difficulties put in place by the Japanese. Insights and surprises gained from the interviews, plus occasional readings from the book, complete this look at the families in Korea under Japanese control. 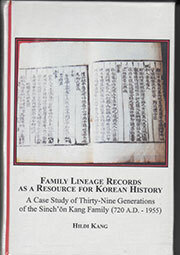 Based loosely on the book Family Lineage Records as a Resource for Korean History, this presentation examines the what (among the oldest and most complete lineage records in the entire world), why (history forced the keeping of such records), and how ( the records reflect Korean history). Next, the presentation examines how these ancient laws and traditions affect life today as Koreans refer to their “Pon’gwan” (ancestral seat), “Kohyang” (hometown), their clans , and traditional three-part names. This presentation speaks to those interested in Korean history and to those interested in an Asian form of genealogy. 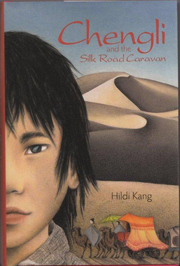 This PowerPoint presentation related to my award-winning book Chengli and the Silk Road Caravan combines maps showing the extent of the ancient trade routes from China to Rome, photographs from my travel along one of the routes, and various readings from the Chengli book showing the connection between my trip in 1999 and Chengli’s adventures in 600 AD. The presentation is planned for approximately one hour, and can be adjusted easily to be shorter or longer. If desired, the focus can be shifted from Chengli to include either or both (1) the history of the trade routes, or (2) the actual writing, editing, and submission process. See also the Chengli Enrichment page. Confucian Law and the Erosion of Women’s Rights, 1392–1910. Confucianism had been a part of Korean life beginning in around 300 CE, embraced intellectually by scholars and sifting into the lives of the aristocracy in sporadic and individual ways. With a change of dynasties in 1392, Confucianism became the law of the land as scholar-officials saw it as an orderly way to organize society. This presentation will introduce a few of the basic Confucian tenets and then follow them over time to see the systematic lowering of the status and position of women, and giving a possible explanation for the girls’ use of the high swing. As an antidote to this rather depressing information, we will look next at various Korean women who, although confined to their homes, worked within those bounds to ease their confinement. 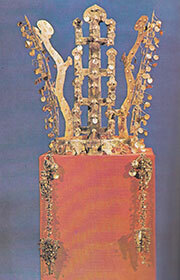 Many customs and works of art in Korea are understood simply as examples of the broad tradition of ancient art. Yet many of these are directly linked to the ancient religion of Shamanism. In full view, yet rarely recognized as such, examples are found on folding screens, book covers, and even the packaging in grocery stores. Shamanistic performances today are done for the benefit of tourists, and as such are rarely acts of faith. This presentation discusses the beliefs of the Shaman, Korea’s Siberian heritage and its link to Shamanism, the controversy over the gold crowns of the Silla dynasty, and the various Shaman symbols found today from Buddhist temples to modern grocery stores. 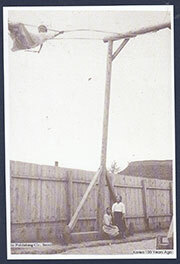 “Hooks to Hang It On” is a set of two interactive lessons supplementing the study of the Old Testament. The “hooks” are (1) a stylized map using an “S” curve from Babylon through Israel and down into Egypt, and (2) a simplified time-line blocked out in 500-year segments. 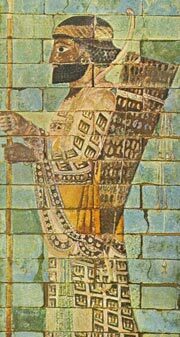 The material moves quickly across 2,000 years of Biblical history by presenting archeology, ancient written texts, and area photographs that surround significant Biblical people, places, and events. The simplicity of these two patterns gives participants a system upon which they can continue to organize and remember an oft-confusing mass of Biblical information.